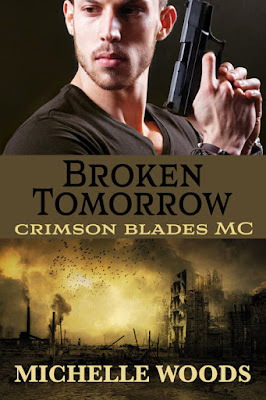 Broken Tomorrow is my blog series which will be starting on September 5th. If you not already signed up to receive my blog via email please do so now. After the first 4 installments of the series I will be send out a survey via the email subscriptions to see what everyone thinks of the series. If you don't want to use the email option you can also log onto the blog and use the survey at the top right of the blog to let me know how you like it. Have you ever been sick and had to wonder how long would it go on? A month, two, or maybe even three months if you are really unlucky. How do you keep hope that you won't feel like crud forever alive? Let me tell you with a chronic disorder that doesn't go away it's hard to think beyond getting through the day much less to one when you will be feeling right as rain again. Writing sometimes helps but not always... and feeling poorly has to effect the mood and tone of the writing right? I don't know but if I discover the answers to any of these pressing questions I will let you know. It will be starting in September 5th and will be published on my blog every Tuesday and Thursday. It started in the summer when the heat rose up off the pavement in hazy waves of steam. The air was filled with the sound of children’s laughter and the sweet scent of barbeque on the grill. Time seemed to pass slower because the days were long and the runs were short. The club had more than two hundred members at the time, and life was good. No one expected the horror that hovered on the horizon. The first reports blasted across the country and were met with disdain and disbelief. Summer was supposed to be filled with laughter and redneck slip ‘n slides, not death and destruction. Infection, that’s what they’d called it in the early days. It was word used to describe the horror that caused friends to murder friends and strangers to become families. Those were the days when everyone thought there would eventually be a cure, but that was only a pipe dream. It couldn’t be stopped and none of the experts expected the infection to get out of hand. They didn’t expect it to morph and travel so easily from area to area, they thought they could contain it but they were wrong. I am starting a series on this blog about the Crimson Blades MC. They're a group of bikers who are fighting to survive in a world gone mad. The series is the story of "Jeb" Jebediah Blackwell the Crimson Blades vice president. The story will follow him through the first three chapters of the zombie apocalypse setting up the world he's trapped in. I want to see if the series will garner enough attention for me to write a book. In order to have the story be converted into a full length novel I will need readers to comment on the series so that I can gage the amount of attention it's getting from readers. The series will start on Tuesday September 5th. There will be another post on Thursday September 7th. Then every Tuesday and Thursday after that I will be posting pieces of the story. If there isn't a lot of attention by fans of the series I will likely end it after ten chapters posted. A cover for the series will be posted next week. Margo Dexter is done with whiny men and her mother’s expectations. Meeting a man like Gunner Jones was the last thing she had planned. He isn’t like other men she’s known and he understands her in a way no other person ever has, but she’s broken. Can she allow him to heal her or will she walk away from him when her fears get the best of her?